Sharon is the Manager of Total Rewards at the Calgary Stampede. With over 10 years of experience in Human Resources, Sharon helps organizations through critical transformation. Sharon obtained her BBA in Human Resources from the University of New Brunswick and her Change Management Certificate from Mount Royal University. When she is not working or volunteering Sharon enjoys spending time in the mountains, whether it’s skiing in winter or hiking in summer, as well as exploring all that Calgary and area has to offer with her son & family. Lisa is a Regional Coordinator with the United Nations Association in Canada. She is passionate about youth employment and climate change. 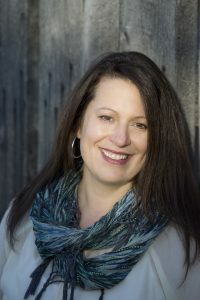 Lisa has a degree in communications and journalism from Carleton University and years of communications experience in both the corporate and non-profit sector. Nancy is passionate about advancing women. She also loves to bring people together to share a great meal and stimulating conversation. Nancy co-developed and has delivered the Negotiating for Women Workshop to more than 850 women in Alberta. When not engaged in BPW affairs, Nancy, a CPA, CA, consults with publicly traded companies developing and implementing Enterprise Risk Management programs. She serves as a member of the Board for another Alberta based not for profit. Crisel is a Commercial Real Estate Associate with a Bachelor’s Degree in Chemical Engineering from Simon Bolivar University in Venezuela. She has a business management background and was considered a pioneer in industrial sales as the first female in a company of 15,000 employees. Crisel carved the path for many women to pursue industrial marketing and sales in thermal, separation and process for the oil and gas, food processing, marine, and diesel sectors. As a Business Development Leader dedicated to the Real Estate and Construction Market she collaborates with Strategic Planning, Market Research, Corporate Marketing and Property Sales in a variety of sectors. Audrey Veltri has a passion for delivering financial confidence. Her background includes the not-for-profit sector, accounting, and planned charitable-gifting. She currently leads a Wealth Management practice that centers on partnering with women, professional corporations, and businesses to achieve their personal economic revolution. A division of her practice focuses on planning strategies for families supporting a dependent with a Disability. She trusts in the power of inclusivity, believing that diversity is required to shape a wealthy future. 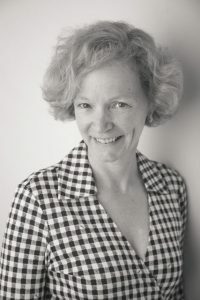 Audrey was the honored recipient of The Calgary Learns Facilitator of the year Award in 2002. And has been recognized for her dedication to wealth planning earning the Pillar Platinum award in 2018 and Platinum Award in 2019. She holds multiple volunteer positions that improve and strengthen lives in the community and locally she supports organizations like DDRC, Autism Calgary, and Between Friends. Krishni served on BPW Canada’s National Convention planning team in Calgary in 2016 and as Vice Chairperson for the 2018 national convention planning in Ottawa. Krishni is a post secondary student at the University of Calgary and is currently working at TD Canada Trust. She plans to attend law school in the near future. Krishni believes Young BPWs (under the age of 35) can unite across Calgary, Alberta and Canada in accelerating progress for young women who are entering the workforce. Tamara is a Senior Tax Accountant at BDO Canada LLP. She obtained her Bachelor’s degree with a focus in Accounting from Capilano University in North Vancouver. 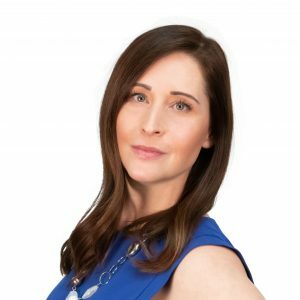 Born and raised in Vancouver, she moved to Calgary in 2014 where she obtained her CPA designation in August 2017 and is currently working through the CPA In-Depth Tax program to become a tax specialist. In her spare time she enjoys going for walks with her dog and keeping active. Maria is a Faculty Assistant at the University of Calgary. She completed her Medical Assistant Program at O’Sullivan College in Montreal and obtained her Certificate of Emerging Leaders at the University of Calgary. In her spare time, Maria enjoys exercising, dancing, going to the Theatre and Alberta Ballet with family and friends.